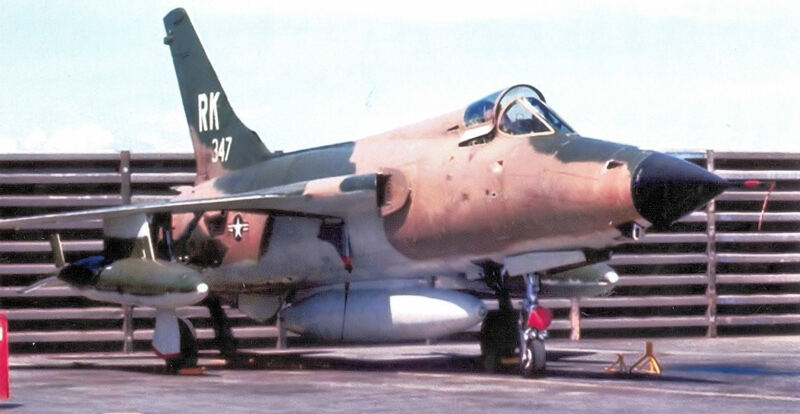 26 March 1967: Colonel Robert Ray Scott, United States Air Force, commanding the 355th Tactical Fighter Wing, was leading 20 Republic F-105 Thunderchief fighter bombers from Takhli Royal Thai Air Force Base, Thailand, on an attack against an enemy military barracks near Hanoi, North Vietnam. 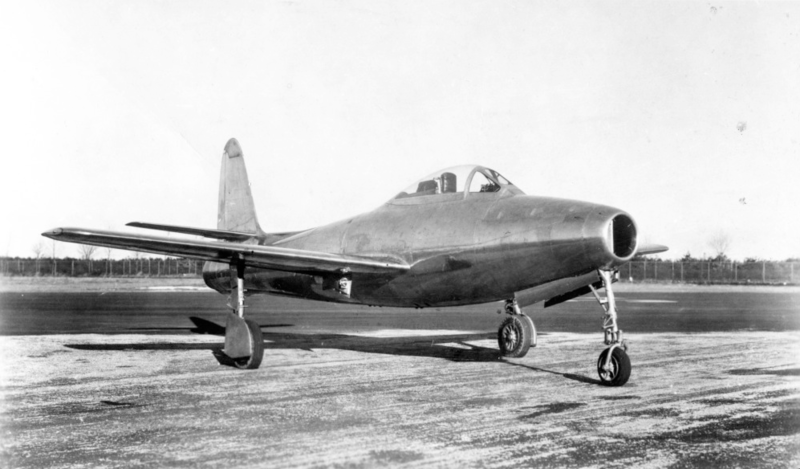 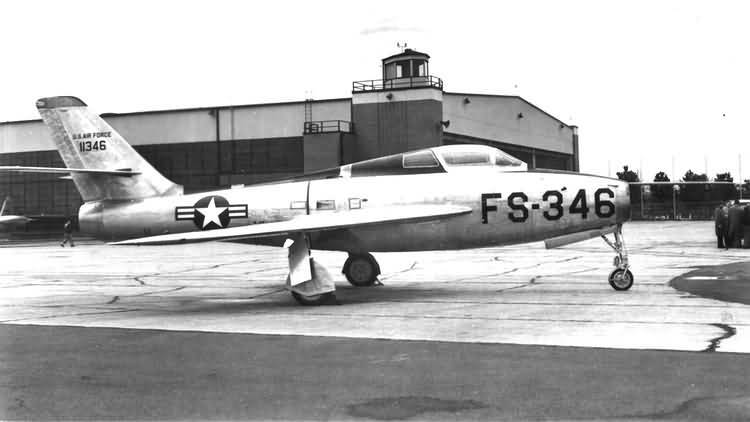 Colonel Scott’s airplane was Republic F-105D-6-RE, serial number 59-1772, and his call sign was “Leech 01.” As he came off the target, he shot down an enemy Mikoyan-Gurevich MiG 17 fighter with the 20 mm M61A1 Vulcan cannon of his fighter bomber. 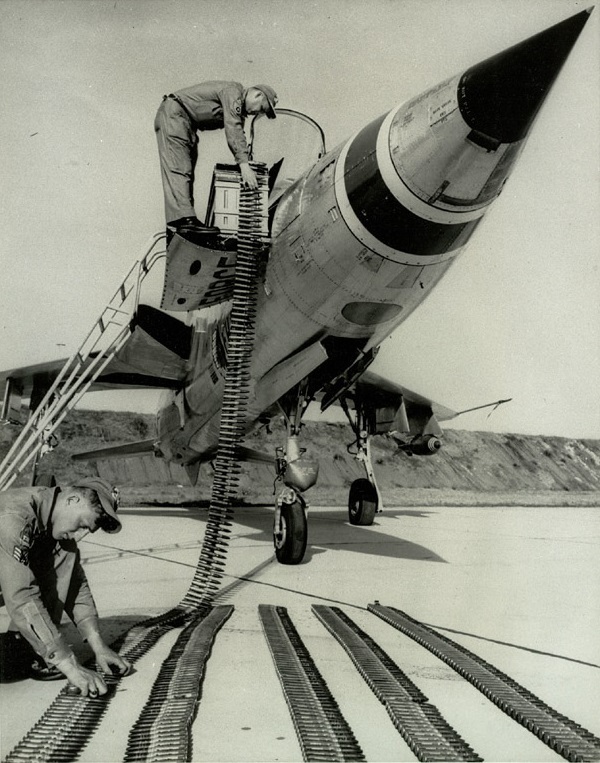 — Aces and Aerial Victories: The United States Air Force in Southeast Asia 1965–1973, by R. Frank Futrell, William H. Greenhalgh, Carl Grubb, Gerard E. Hasselwander, Robert F. Jakob and Charles A. Ravenstein, Office of Air Force History, Headquarters USAF, 1976, Chapter II at Page 45. 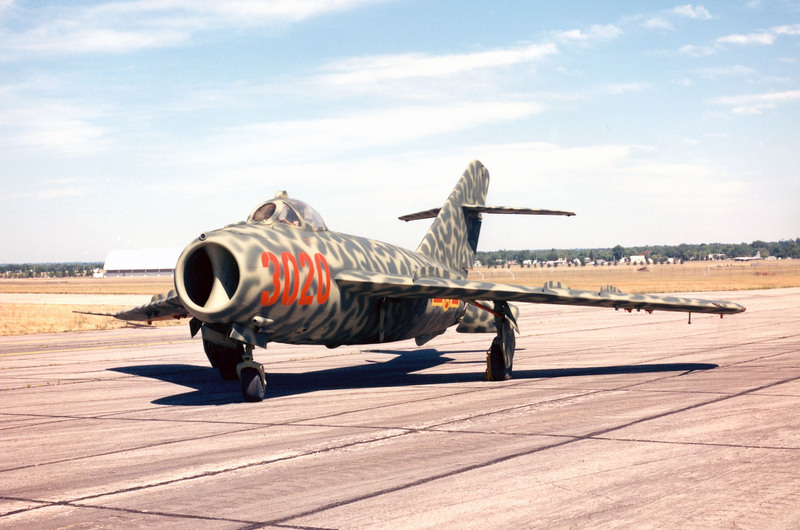 The pilot of the MiG 17, Second Lieutenant Vũ Huy Lượng, 923rd Fighter Regiment, Vietnam Peoples’ Air Force, was killed. 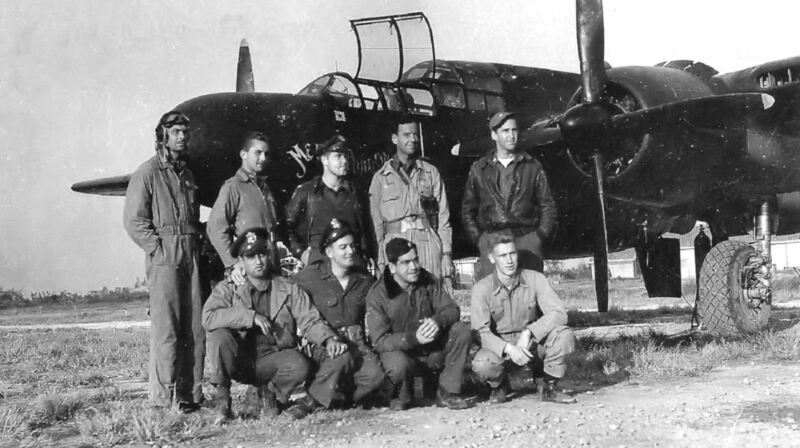 As a Northrop P-61 Black Widow pilot with the 426th Night Fighter Squadron during World War II, Colonel Scott had shot down two enemy airplanes. 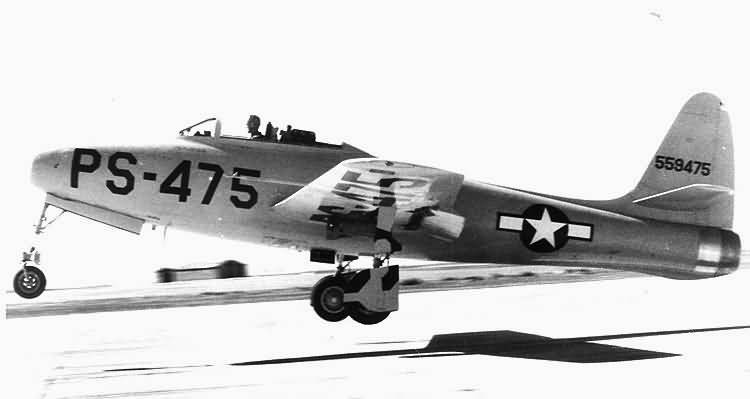 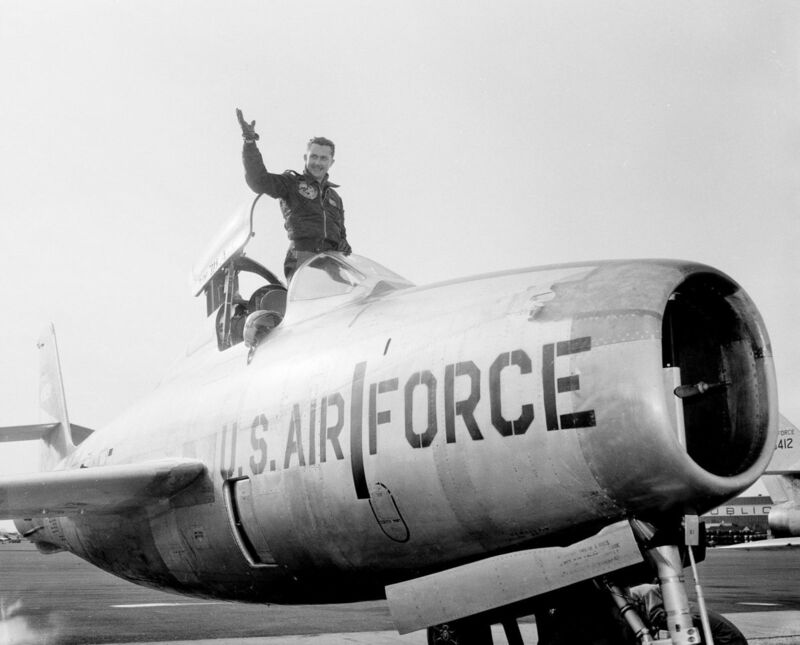 By destroying the MiG-17, he became only the second U.S. Air Force pilot, after Colonel Robin Olds, to achieve aerial victories during World War II and the Vietnam War. 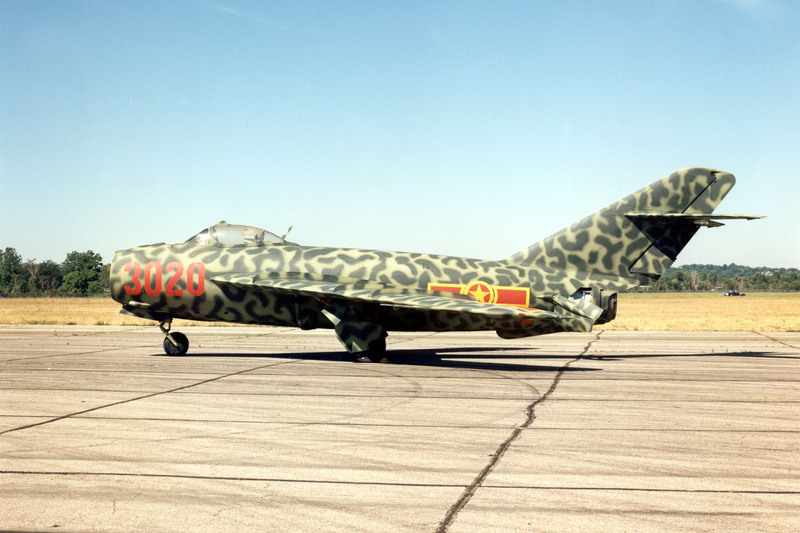 Mikoyan-Gurevich MiG 17F in Vietnam Peoples’ Air Force markings at NMUSAF, Wright-Patterson AFB. 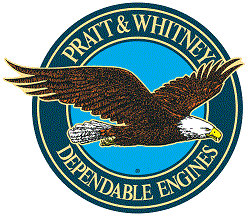 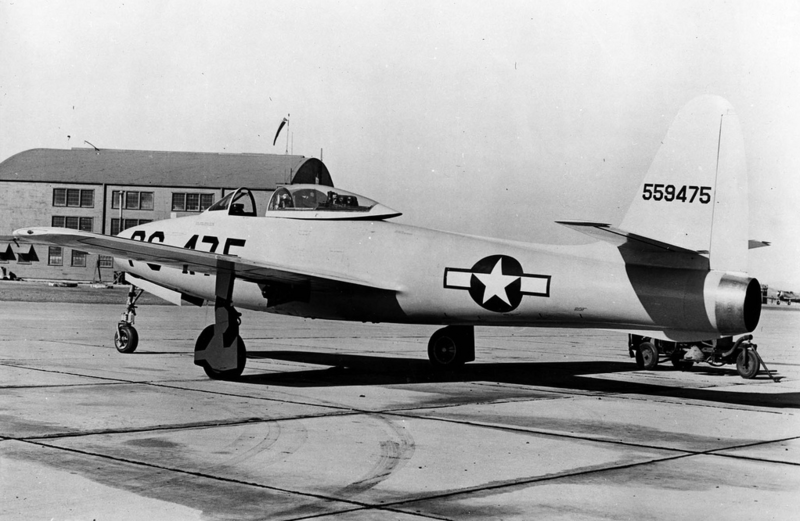 (U.S. Air Force). 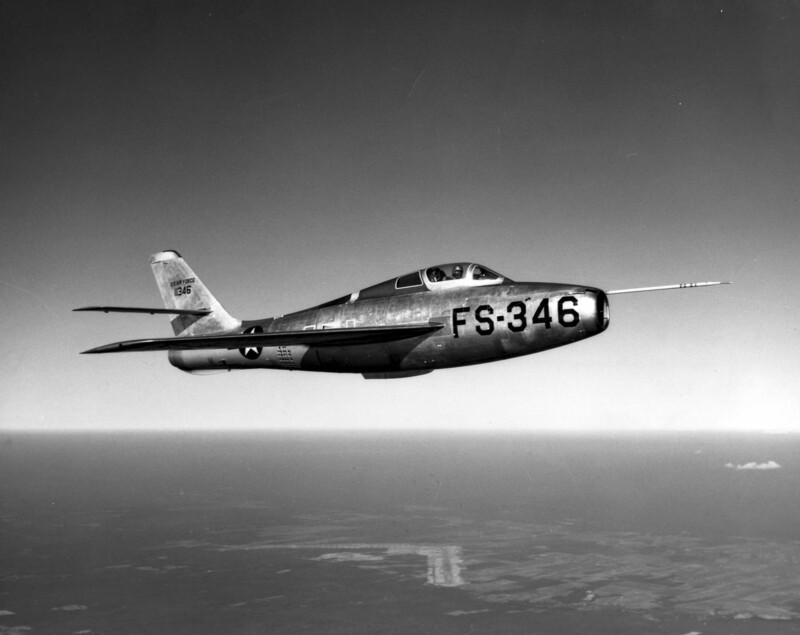 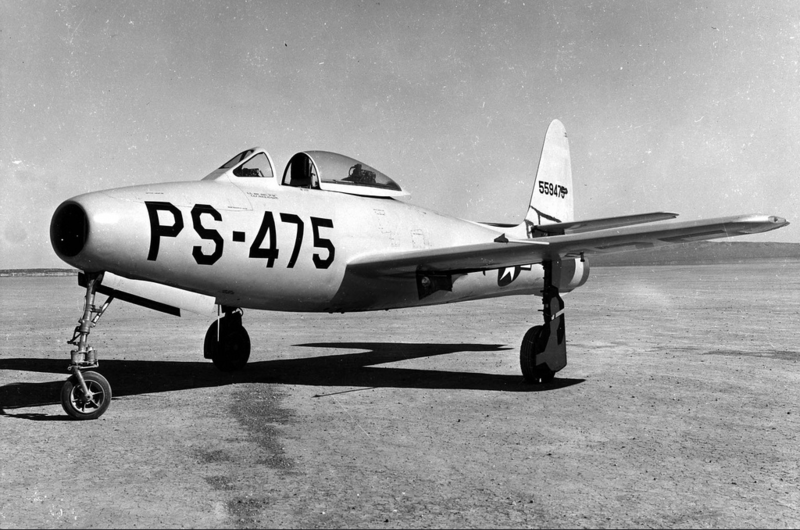 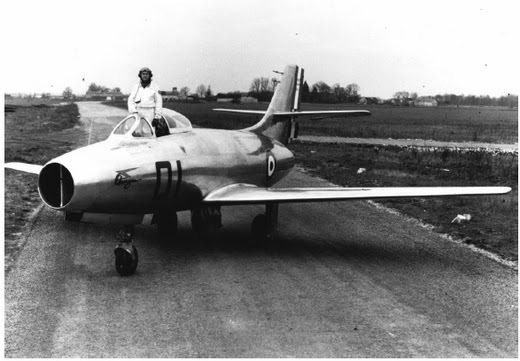 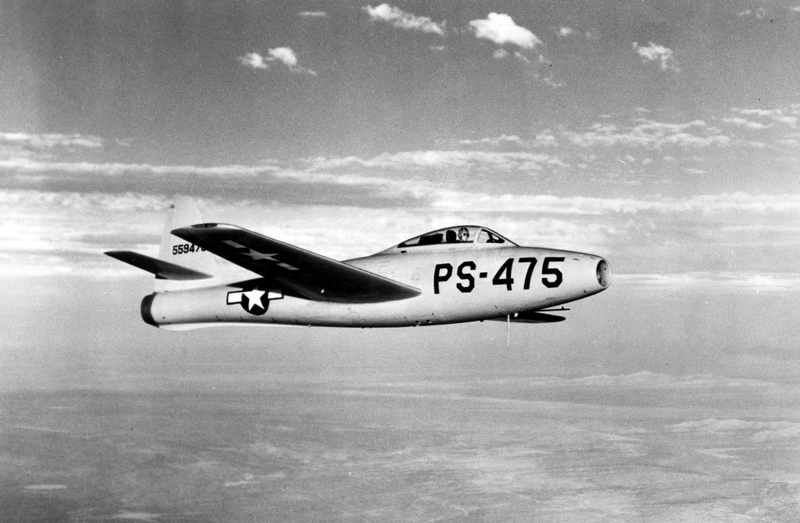 On 9 October 1955, Scott set a transcontinental speed record by flying a Republic F-84F Thunderstreak fighter bomber from Los Angeles International Airport, California, to Floyd Bennett Field, New York, in 3 hours, 46 minutes, 33.6 seconds. 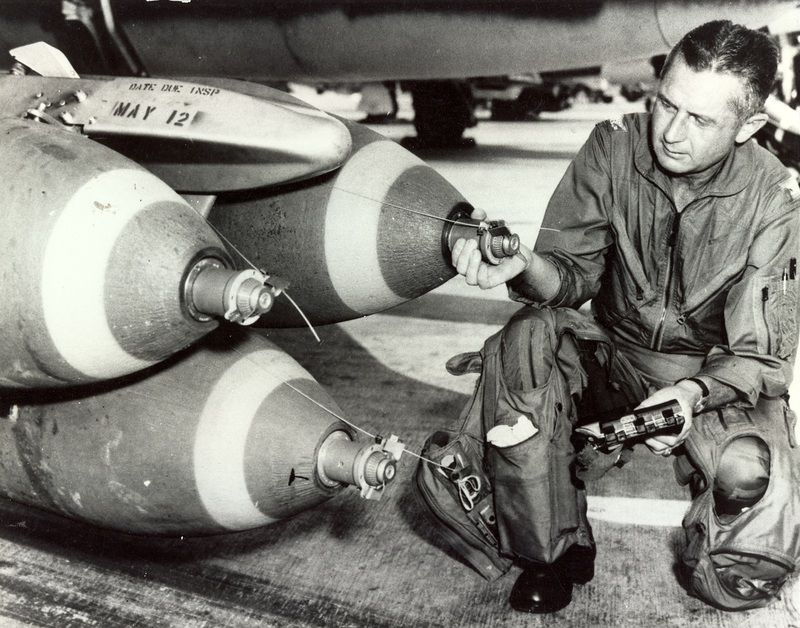 Later he was a project officer at Edwards AFB on the Republic F-105 Thunderchief Mach 2 fighter-bomber. 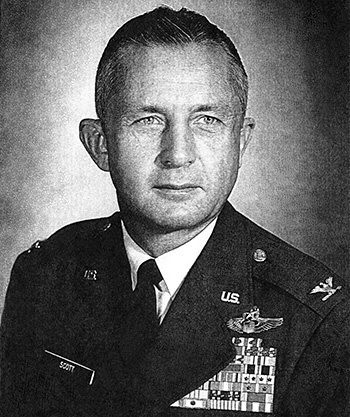 Scott was promoted the rank of Colonel in 1960. 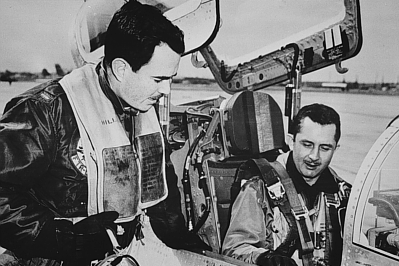 During the Vietnam War, Colonel Scott commanded the 355th Tactical Fighter Wing, flying 134 combat missions in the Republic F-105 Thunderchief. 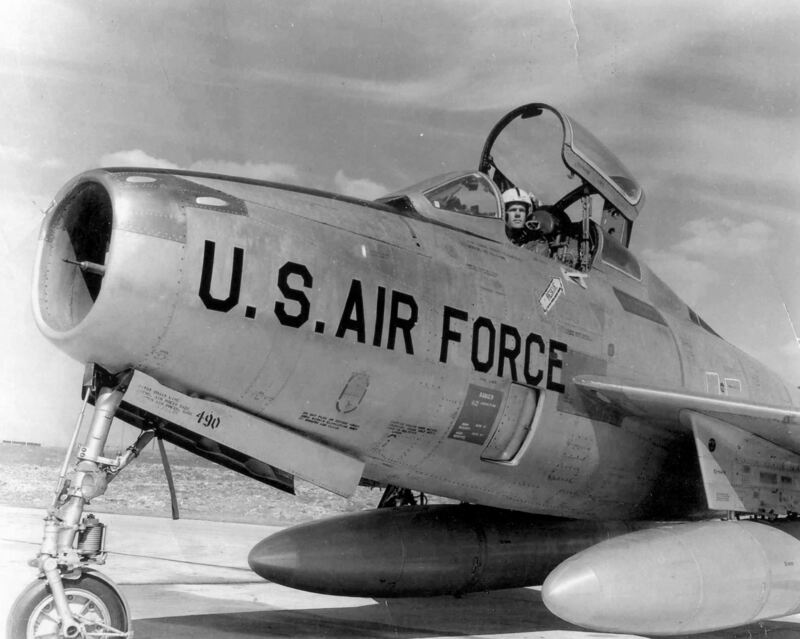 Colonel Scott’s final commanding was the 832nd Air Division, 12th Air Force, at Cannon Air Force Base, New Mexico. 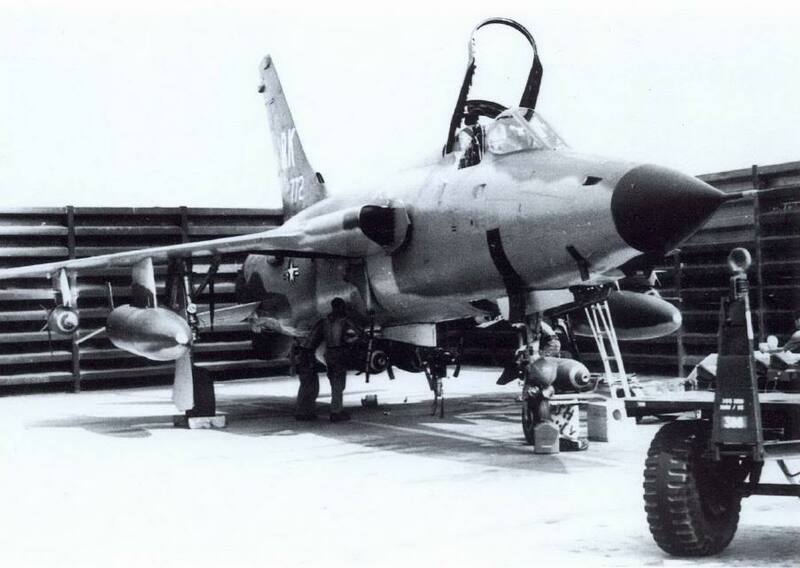 He retired 1 September 1970 after 29 years of military service. 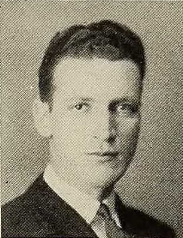 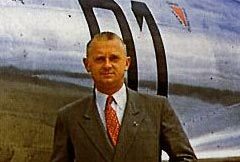 Colonel Robert Ray Scott flew 305 combat missions in three wars. 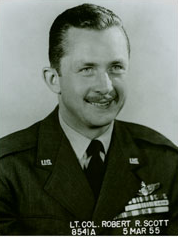 During his Air Force career, Colonel Scott was awarded four Silver Star medals, three Legion of Merit medals, six Distinguished Flying Crosses and 16 Air Medals. 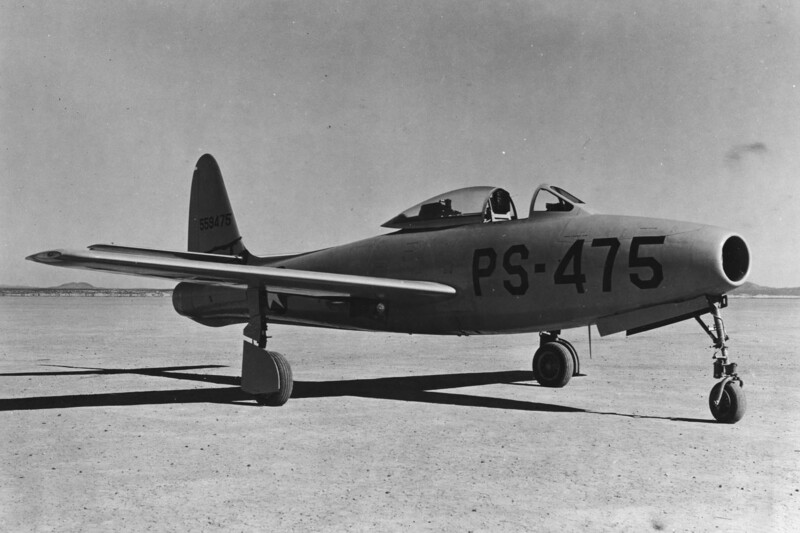 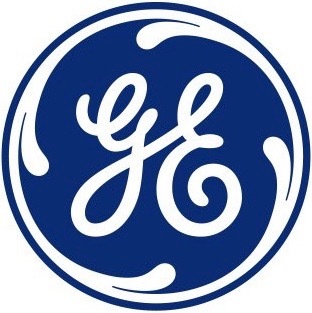 He died at Tehachapi, California, 3 October 2006 at the age of 86 years. 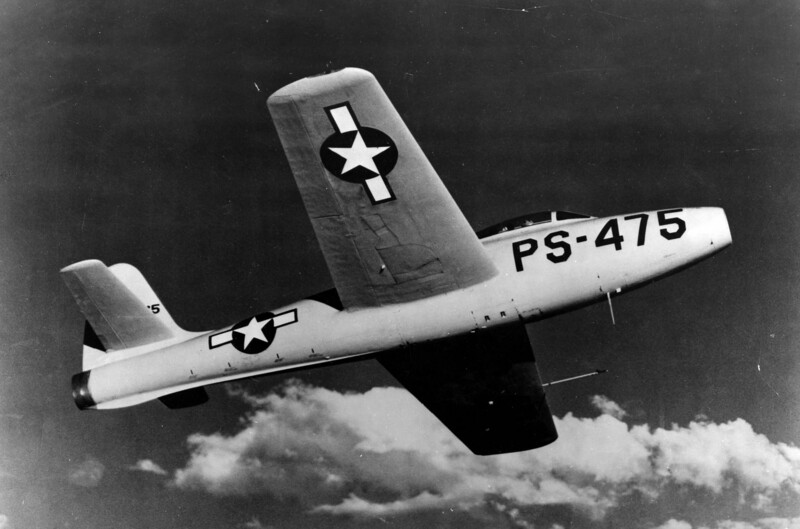 He is buried at the Arlington National Cemetery. 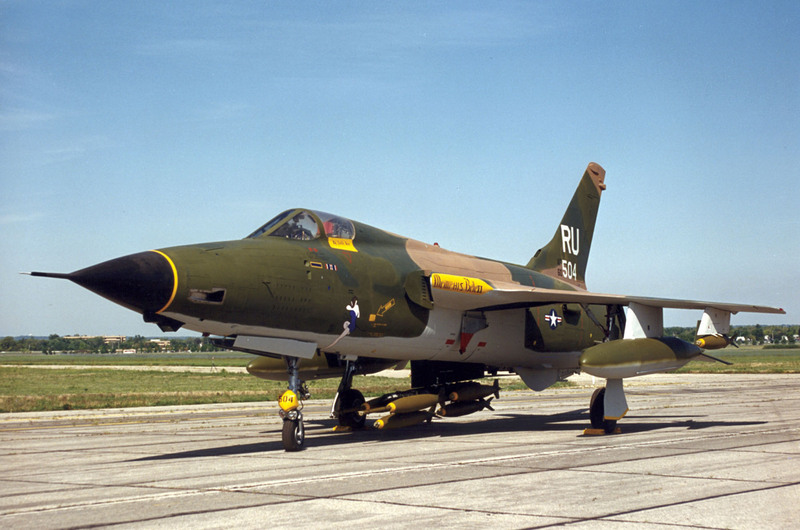 Republic F-105D 59-1772 is credited with another air-to-air victory. 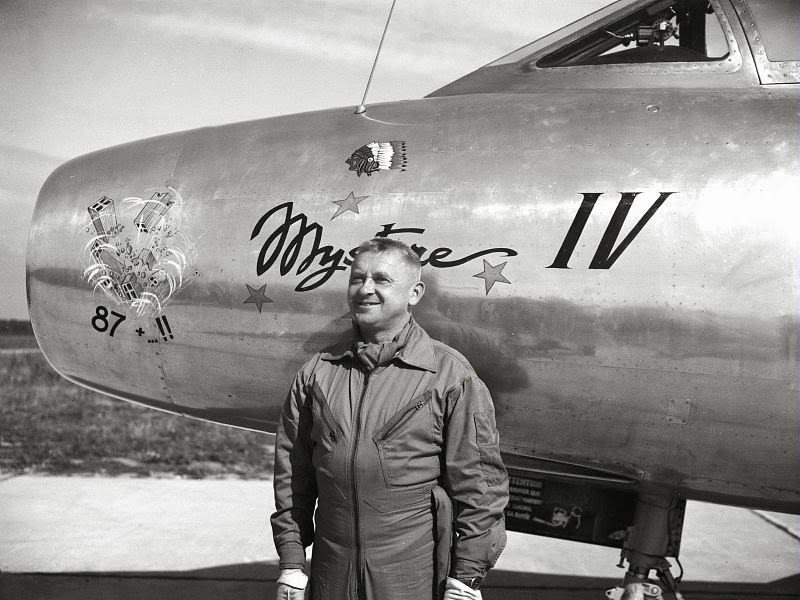 Just over a month after Colonel Scott’s Mig-17 shoot-down, on 28 April 1967 Major Harry E. Higgins, 357th Tactical Fighter Squadron, shot down another MiG-17 with the fighter bomber’s cannon, for which Major Higgins was awarded the Silver Star. 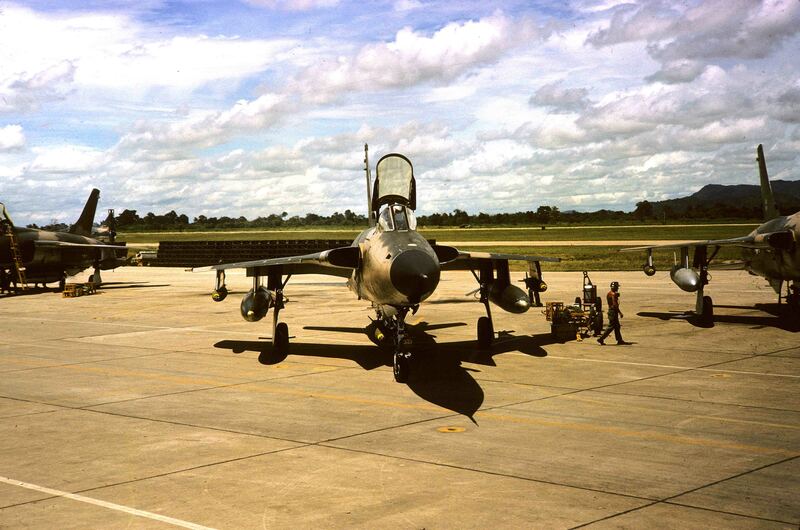 The Thunderchief, though, met its own end when it was shot down by 37 mm anti-aircraft gunfire 10 miles (16 kilometers) west of Ko Hinh, Laos, 27 January 1970. 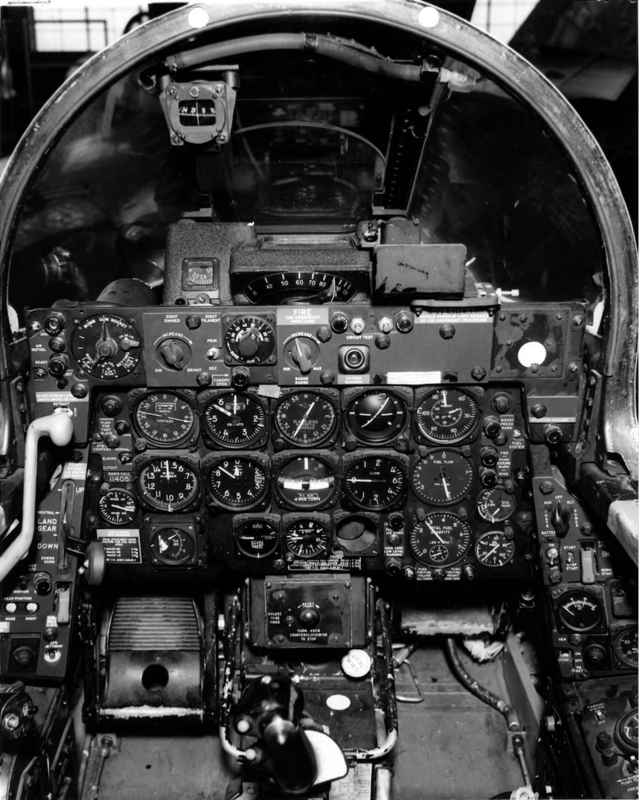 The pilot was rescued. 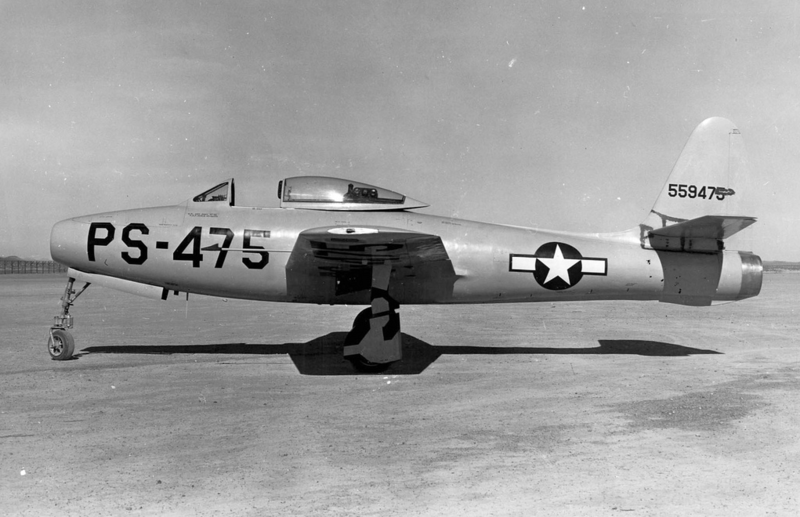 The F-105 was the largest single-seat, single-engine combat aircraft in history. 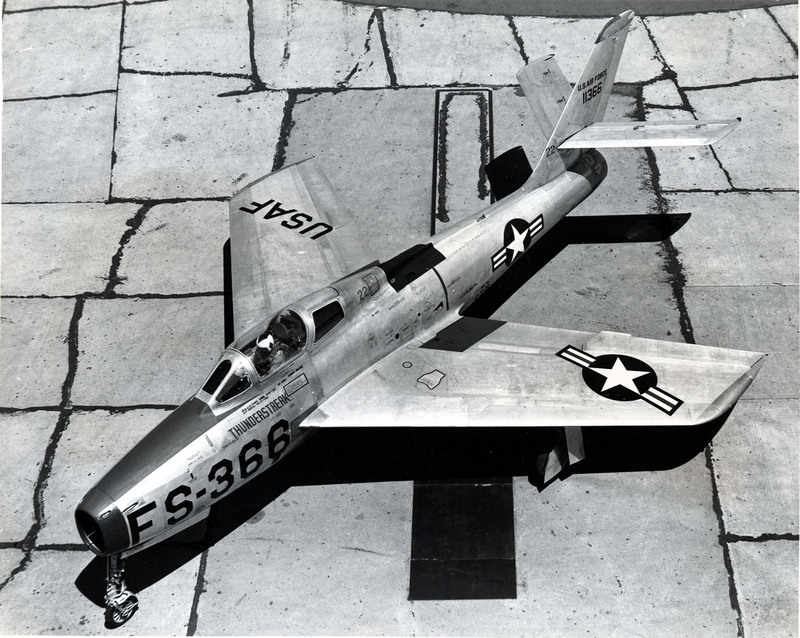 It was designed as a Mach 2+ tactical nuclear strike aircraft and fighter-bomber. 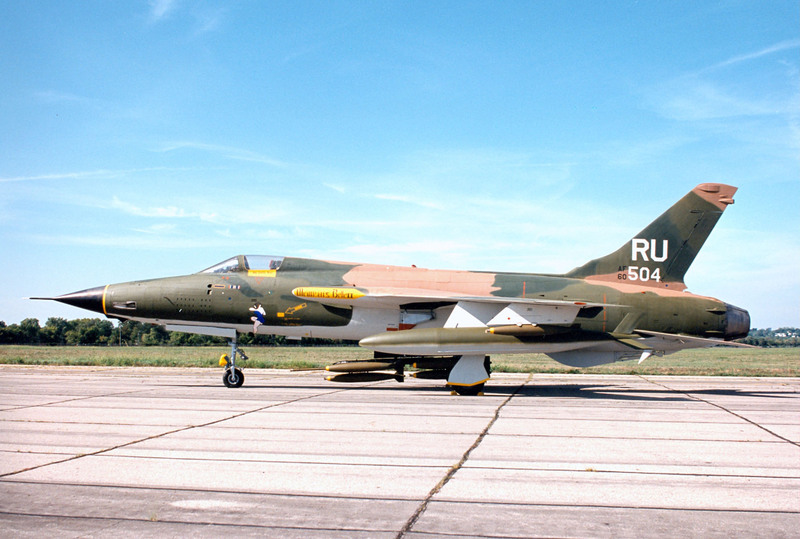 Republic Aviation Corporation built 833 F-105 Thunderchief fighter bombers at its Farmingdale, New York factory. 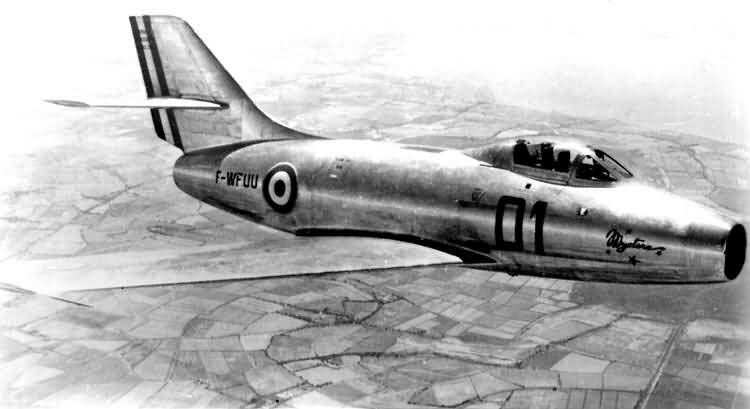 610 of those were single-seat F-105Ds.